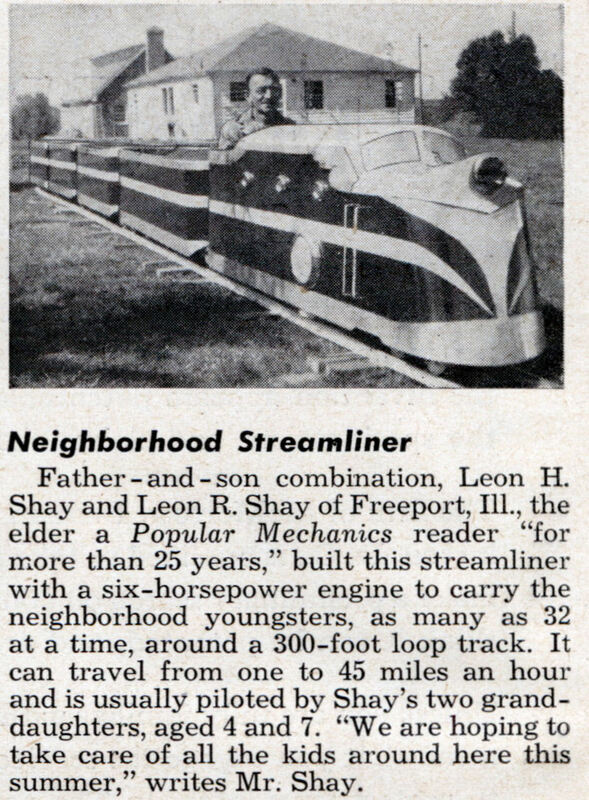 Father – and – son combination, Leon H. Shay and Leon R. Shay of Freeport, 111., the elder a Popular Mechanics reader “for more than 25 years,” built this streamliner with a six-horsepower engine to carry the neighborhood youngsters, as many as 32 at a time, around a 300-foot loop track. It can travel from one to 45 miles an hour and is usually piloted by Shay’s two granddaughters, aged 4 and 7. 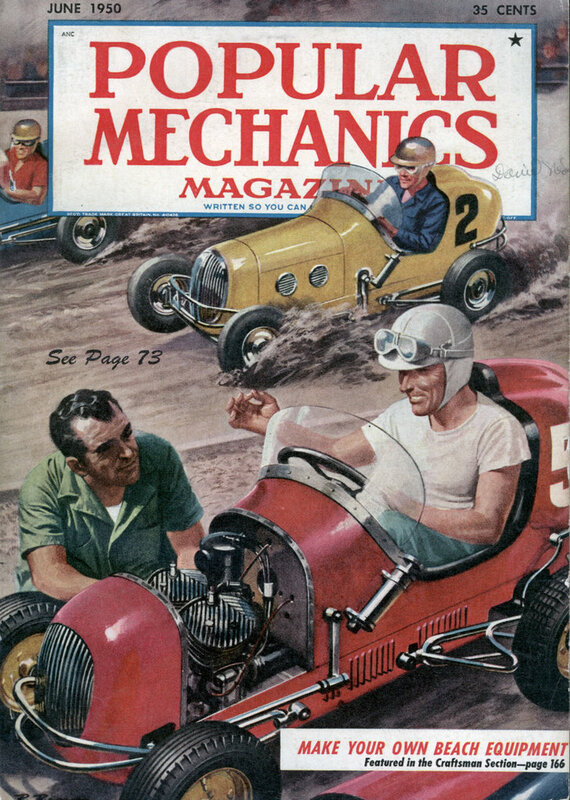 “We are hoping to take care of all the kids around here this summer,” writes Mr. Shay.